In our first installment of the Southern Section Division-by-Division preview, we begin with the largest division in the section -- Division 4. With the inclusion of more charter and private schools throughout the section over the past decade, the division now boasts over 150 schools. Granted, not all of these schools produce what most would refer to as full track and field programs. But we have witnessed this additional overall depth in schools transfer to the results on and off the track. Some of California's best reside in Division 4 in the Southern Section. 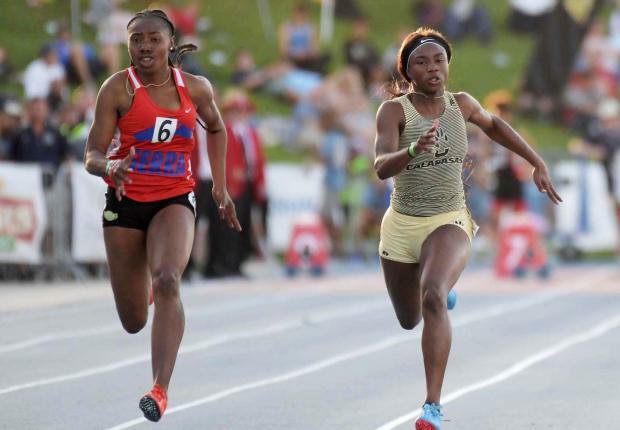 Will the tradition-rich programs such as Serra (Gardena) and Oaks Christian continue to dominate or can another program swoop in to earn one of those two team plaques rewarded at the CIF-SS Finals on May 11? Over the past 17 seasons, Serra and Oaks Christian have captured 16 team titles! Nordhoff's boys' program in 2015 is the lone outlier here. But lately it has been Oaks Christian taking the crown with earning the past three and four of the past five. Serra had a run where they captured seven in a row from 2007-2013 with 12 titles altogether in the 21st Century! That 2013 squad of Serra went on to capture the California State Team Title as well. Shifting to the girls, the same two programs have dominated the landscape as well. Serra's women captured the team title in 2018, ending a four year run from Oaks Christian. It was Serra's fifth title in the past 10 seasons, while St. Mary's earned top honors with the title in 2013. Of course, we would be remised if we did not recall how Serra's girls are not only the defending division champs but also the defending California State champions! Oaks Christian's girls earned the State Title back in 2015 while Serra pulled off the feat in 2012. Obviously, do not dismiss this division's talent based on school size alone.